Don’t get me wrong. I love a good classic Easter Egg Hunt! But TODAY I have lots of fun ideas to really vamp up your hunt! 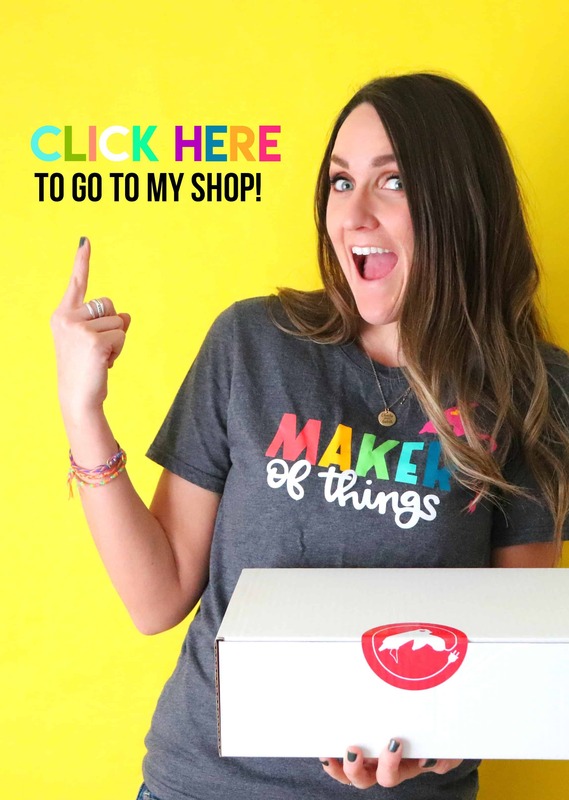 (and I’ve included free printables just to make your life easier!) Most of these games are educational too (insert mom laugh!) But they are so fun that kids won’t realize that they are learning while they are having fun! These would be great to play in a classroom! 7 different printables and variations on how to play each one! So many options! 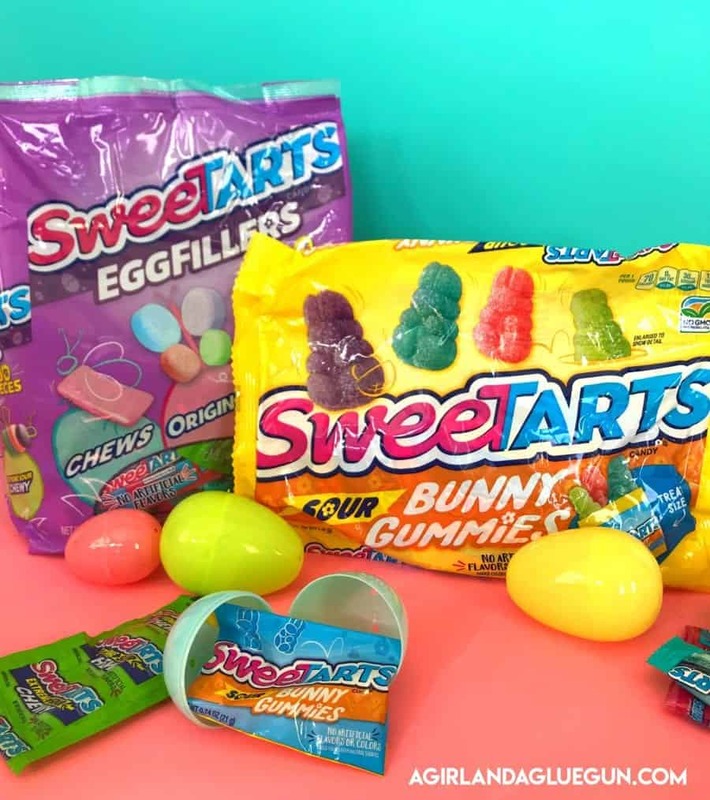 First….before we dive into–I wanted to talk about the SweeTARTS Egg Filler bag–it’s 190 pieces of your favorite original, chew and extreme sour chewy SweeTARTS treats! 190 pieces! That’s a LOT of eggs! And the limited edition SweeTARTS Sour Bunny Gummies are so good. SO GOOD. And they are the perfect treat size pouch to fit inside the Easter Eggs. 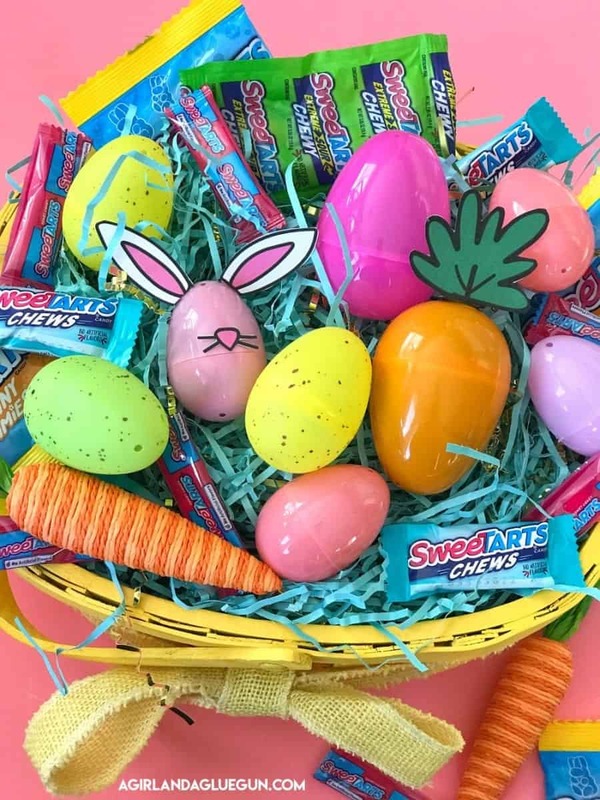 Grab one (or more of each) and you can fill up so many eggs–(if you don’t eat them all first!) Also…if you couldn’t tell..I love color. So Bonus points for matching my printables! I’m starting with my favorite! The numbered one! We usually have Easter egg hunts with my family and that means kids of all ages. The bigger kids usually end up with 30 eggs while the younger kids are still trying to open up their first one to get the candy! So I love this version–everyone is guaranteed to walk away with the same amount of eggs! 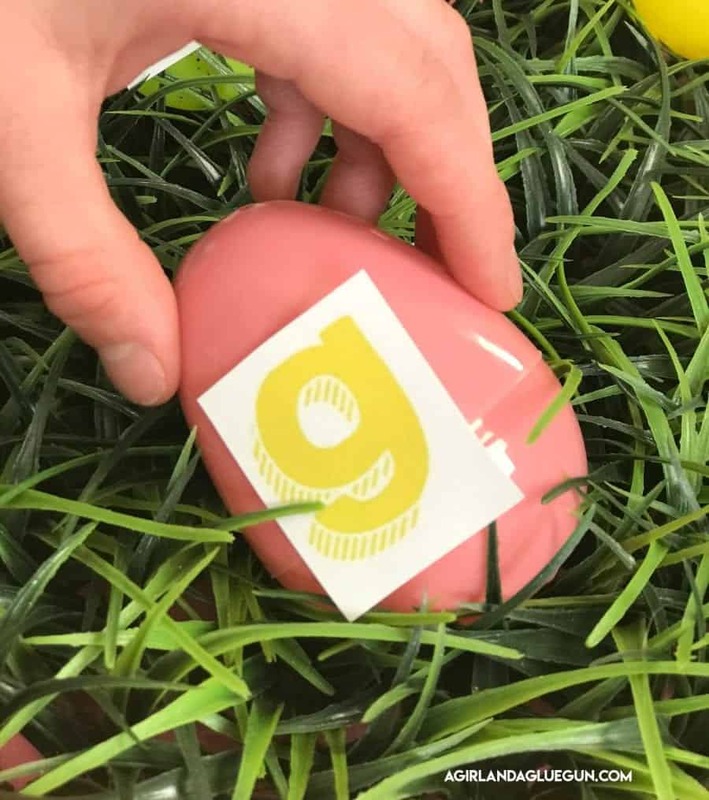 Cut up the numbers and tape on the outside of eggs. 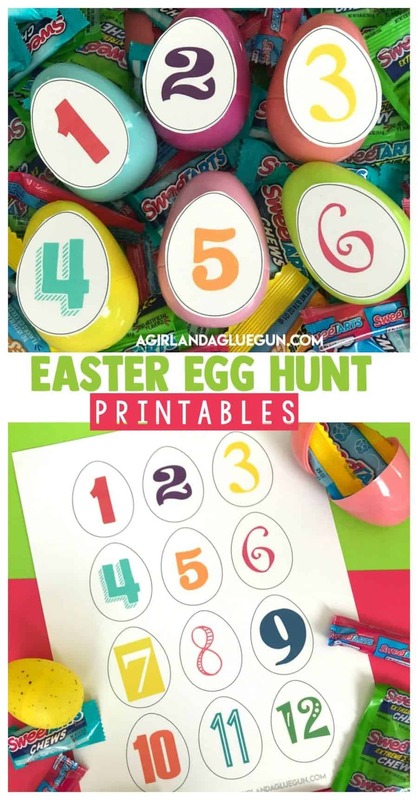 Each kid can ONLY get 1 of each number until they have all 12 of their eggs! It prolongs the hunt and kids will be running around trying to find 9 or whatever number they are missing! I usually hide all my #1’s easy (out in the open) and work my way up…so 12 is hidden the hardest of all. That way some kids won’t take all the easy ones while others are hunting forever! 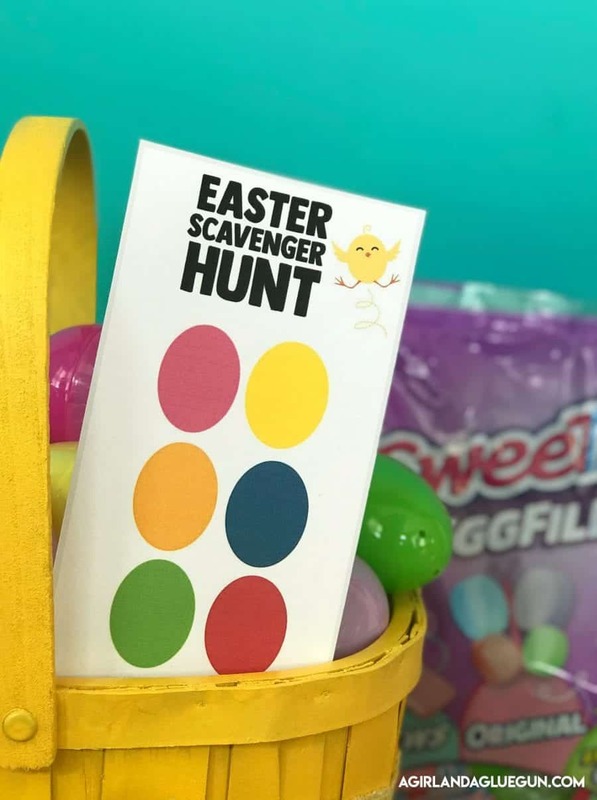 Variation: you can also put them inside and turn it into a scavenger hunt. Come up with fun hints and write on the back of each one. (or just write “mailbox” and then hide the next egg in the mailbox!) OR. hide the numbers inside. 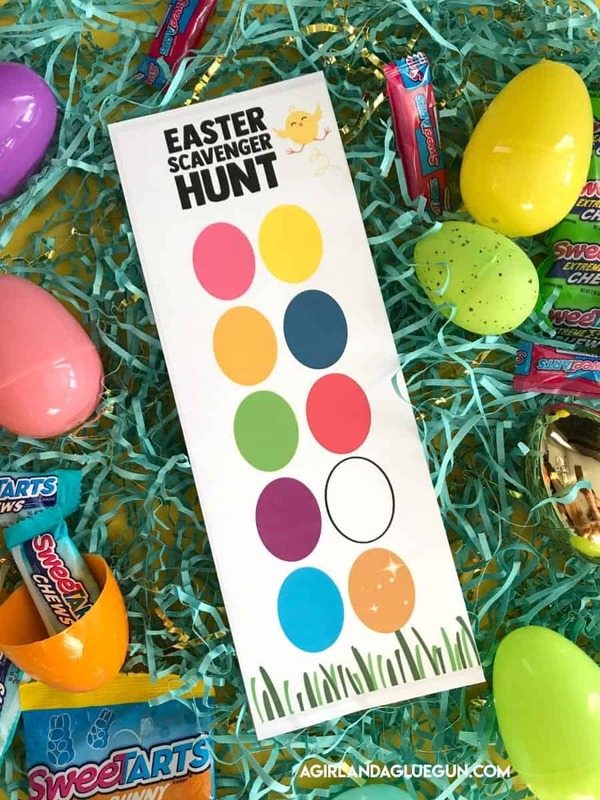 Tell them they can only get twelve and after they open their eggs….have them add them up and the highest number wins! 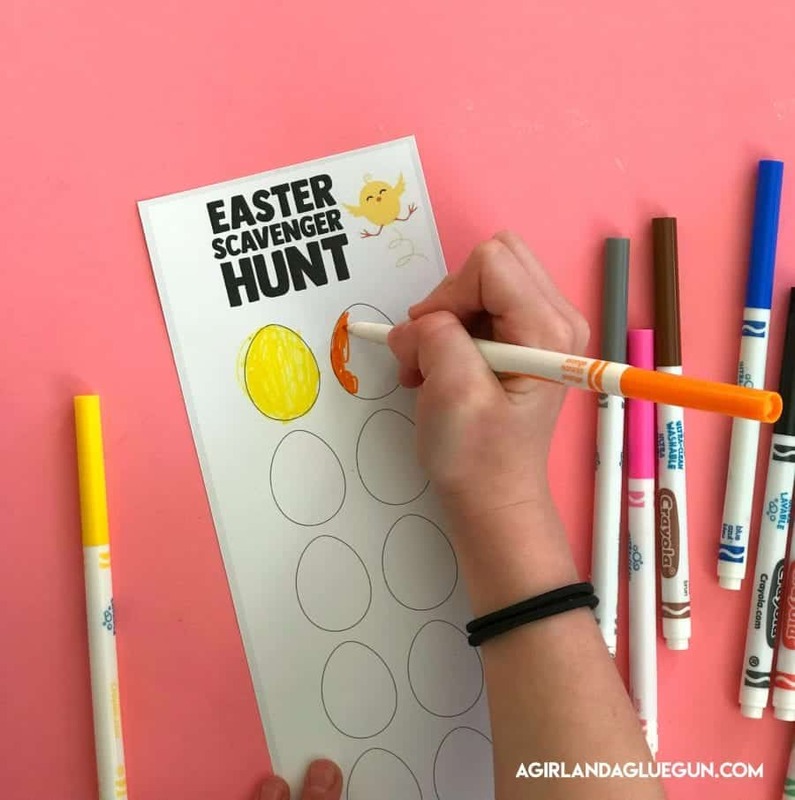 Easter hunt printable#2: Colored scavenger hunt. Easter egg printable #3: Color in your own. Same basic idea as above…but kids can color in their own eggs. You can lay out all the eggs you are using in your hunt and they kids can draw them out. So if you have a fun striped egg or flower egg…they can decorate their eggs to match! This printable comes with a big sheet and a little sheet. Cut apart the big sheet so each letter is separate. 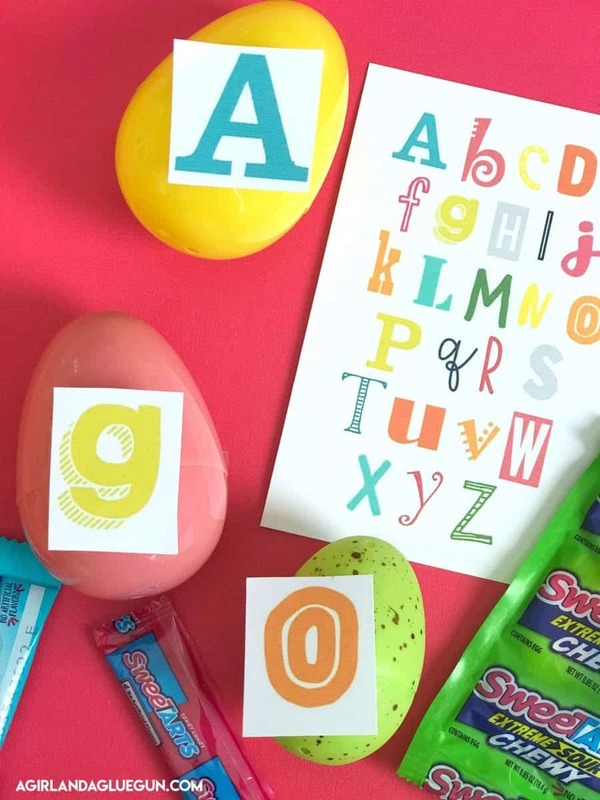 Then you can tape to the eggs and kids have to find each letter of the alphabet. As they find them…you can cross off the letters on the little sheet. You can play this so many ways. You can use only the letters of the kid’s name (great for preschoolers who are learning!) You can hide the letters inside and then each kid can gather up 5 and try to make a word out of their letters. 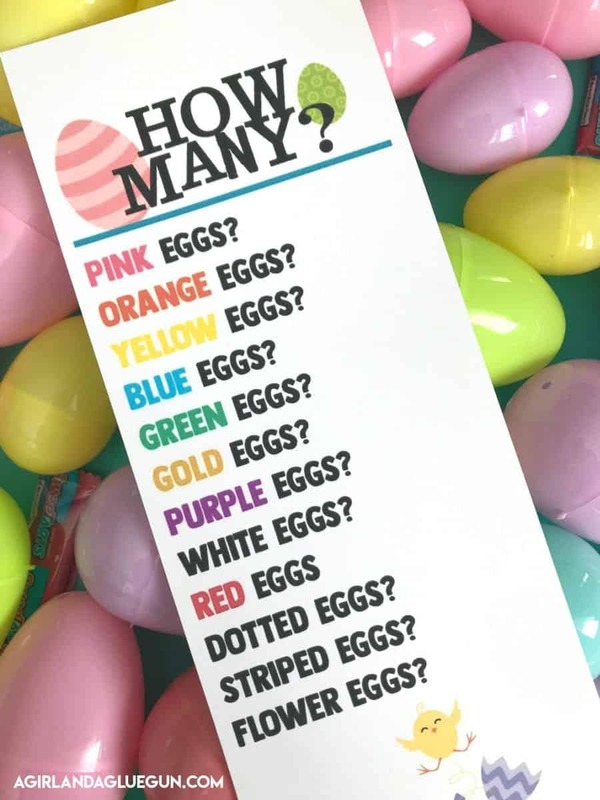 You can have each member of classroom find one egg and try to come up with an Easter word that starts with the letter in their egg. 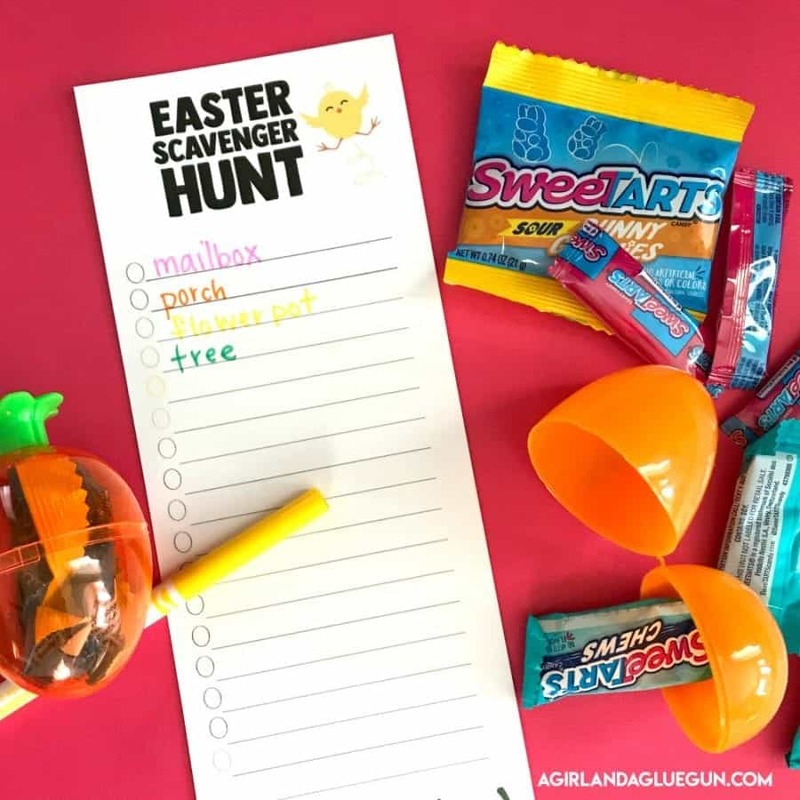 Easter egg hunt printable #5 Easter Scavenger hunt. 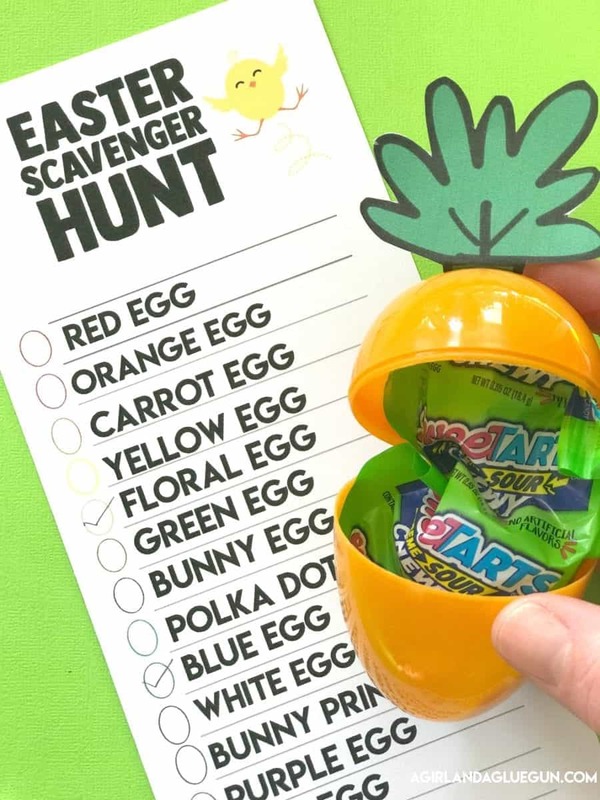 All the eggs listed out and kids have to find them all. Just cut apart and glue to the eggs! 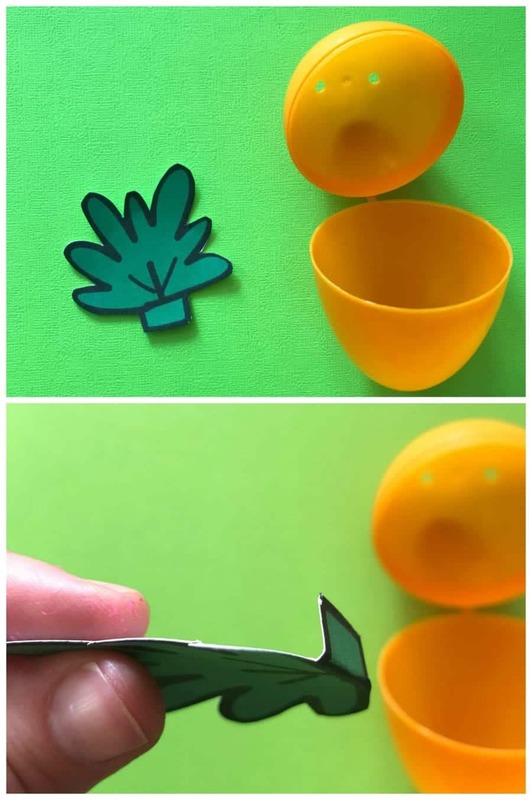 There is a little tab on the carrot top and Easter bunny ears to attach to the egg. This bunny one is my favorite! He looks like he is ready to eat a SweeTARTS Sour Bunny Gummies Treat! 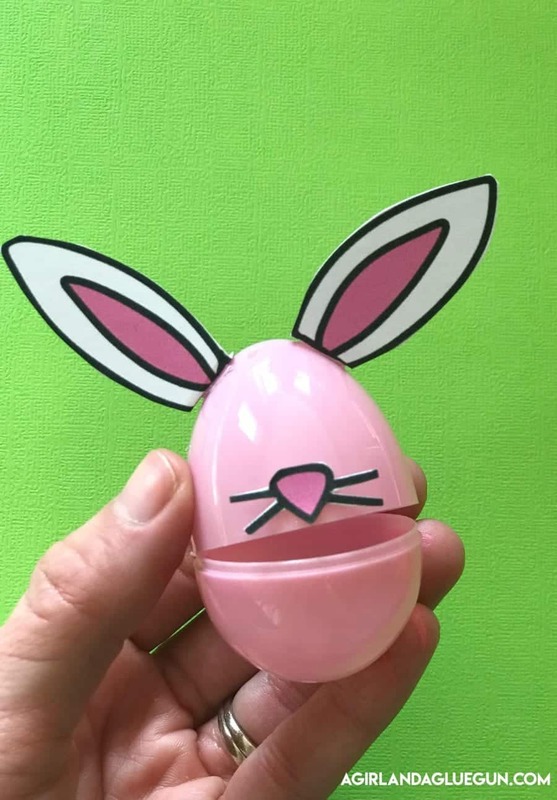 Fun variation: My kids love hiding eggs–so you can have each kid hide eggs for their brother/sister/cousin/friend. 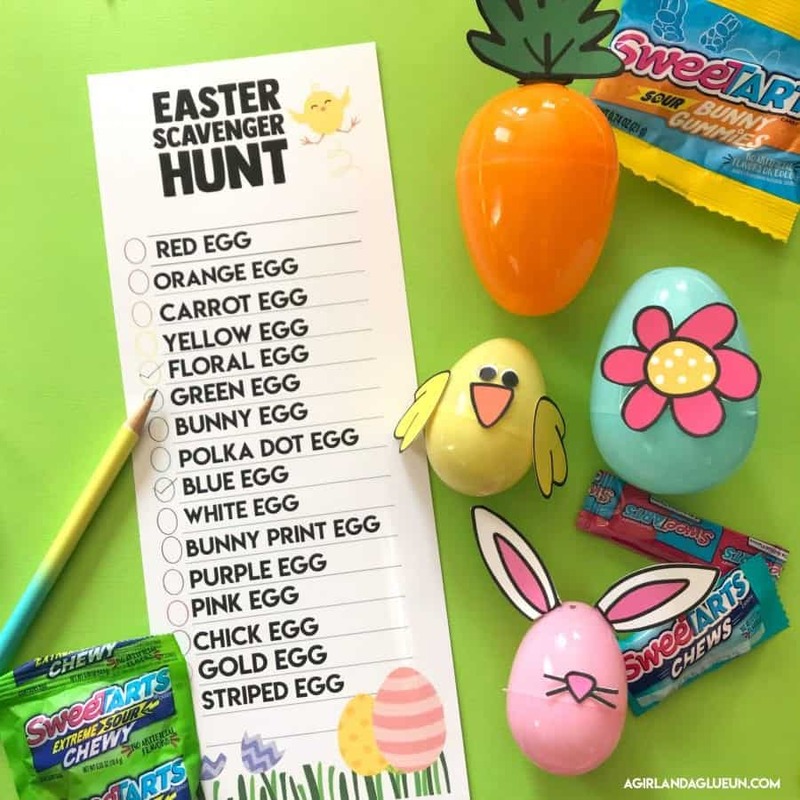 They can hide the eggs and write down where they hid it and then when it’s Easter Egg Hunt time they can all exchange lists with one another! 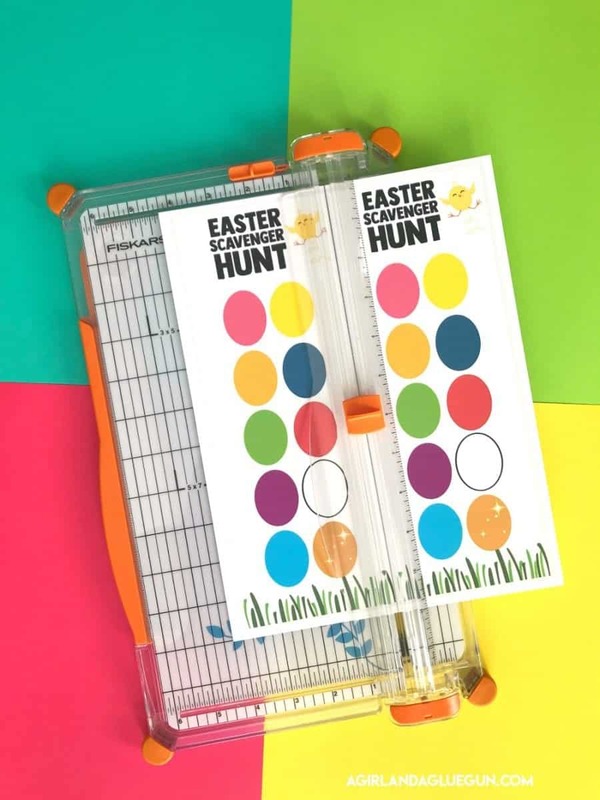 Easter hunt printable #7: How many. 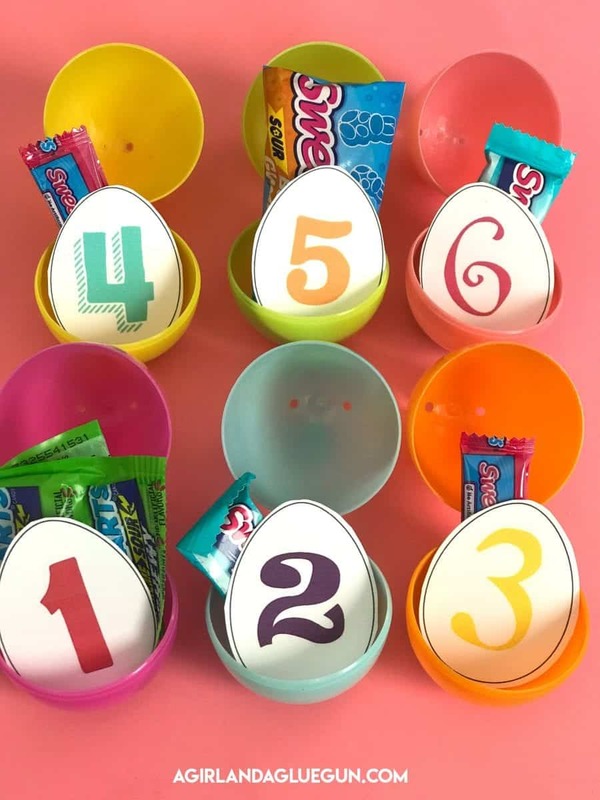 Variation: You can hide different amounts of SweeTARTS Egg Fillers in each egg. 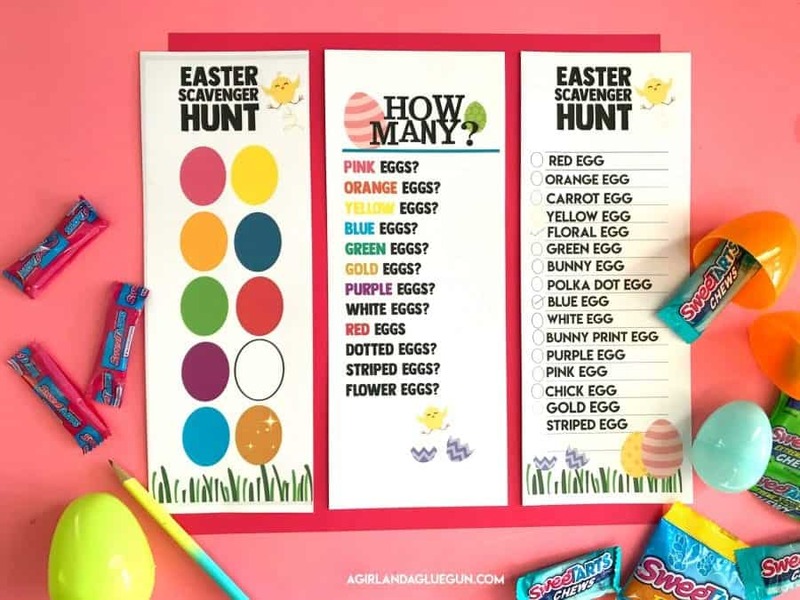 So they have to count how many pieces of candy they got in all their pink eggs and green eggs etc. 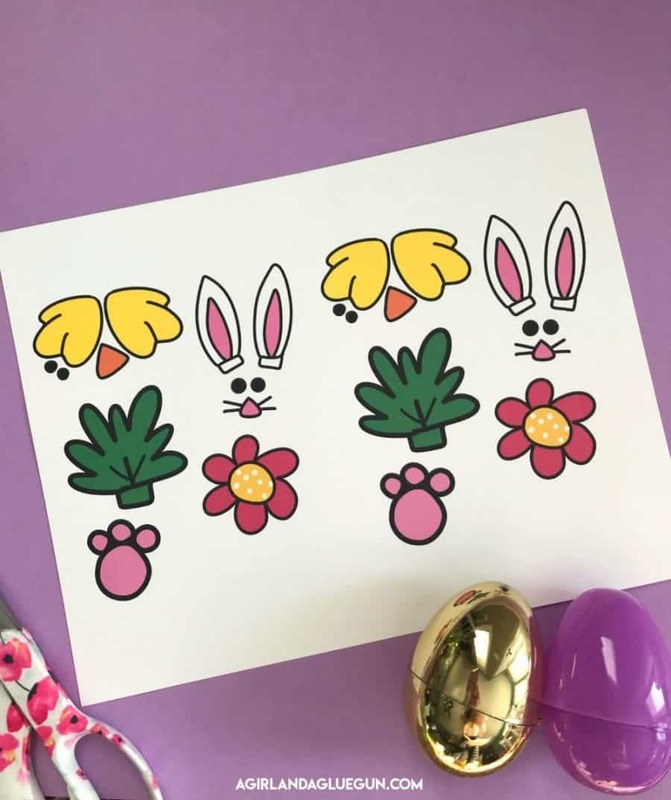 you can grab all these Easter printables here!